Completely revised built-in Economic Calendar. The Economic Calendar is our proprietary solution. Therein you will find over 600 financial news and indicators related to the 13 largest global economies: USA, European Union, Japan, UK, Canada, Australia, China among others. Relevant data is collected from open sources in real time. The new version features updated contents and advanced event filters: by time, priority, currencies and countries. The calendar data can now be accessed from MQL5 programs. Please see below for details. Added new type of MQL5 applications — Services. This new type enables the creation of custom price feeds for the terminal, i.e. to implement price delivery from external systems in real time, just like it is implemented on brokers' trade servers. To create a service template, use the corresponding MQL5 Wizard option. Services have one OnStart entry point, similar to scripts. At this point, you can implement an endless data receiving and handling cycle using network functions. To run multiple Expert Advisor or indicator copies with different parameters, you should launch them on different charts. In this case different program instances are created, which then operate independently. Services are not linked to charts, therefore a special mechanism has been implemented for the creation of service instances. Select a service from the Navigator and click "Add service" in its context menu. 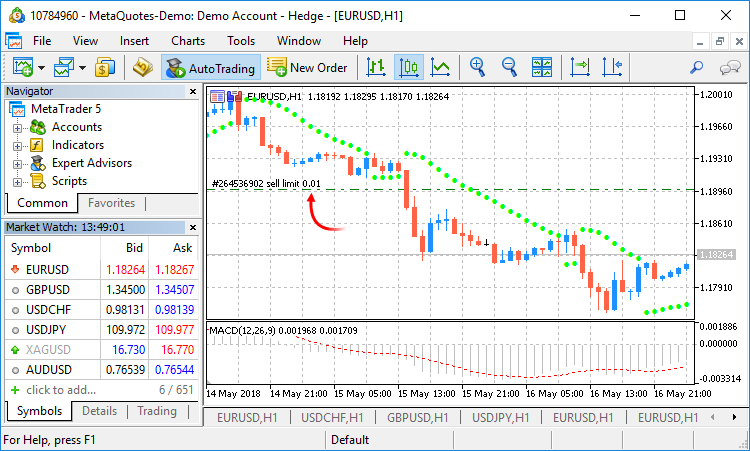 This will open a standard MQL5 program dialog, in which you can enable/disable trading and access to signal settings, as well as set various parameters. A service instance can be launched and stopped using the appropriate instance menu. To manage all instances, use the service menu. A learning program has been added. The new feature will help beginners in learning how to interact with the platform. We have added over 100 interactive tips concerning the main platform features. The filled area of the progress bar will increase whenever you perform appropriate actions and continue training. The trading account history can be presented as positions. The platform collects data on deals related to the position (opening, volume increase, partial or full closing) and groups the information into a single record. Thus you can access position details: open and close time, volume, price and result. This efficient presentation form is now available in history reports exported to files. Added new API enabling request of MetaTrader 5 terminal data through applications using the R language. We have prepared a special MetaTrader package. It contains DLL for interactions between R and the MetaTrader 5 terminal, documentation and auxiliary r files. We are completing the package registration in the CRAN repository, after which it will be available for download and installation. MT5Initialize initializes and establishes connection with the MetaTrader 5 terminal. If necessary, the terminal is launched during command execution. 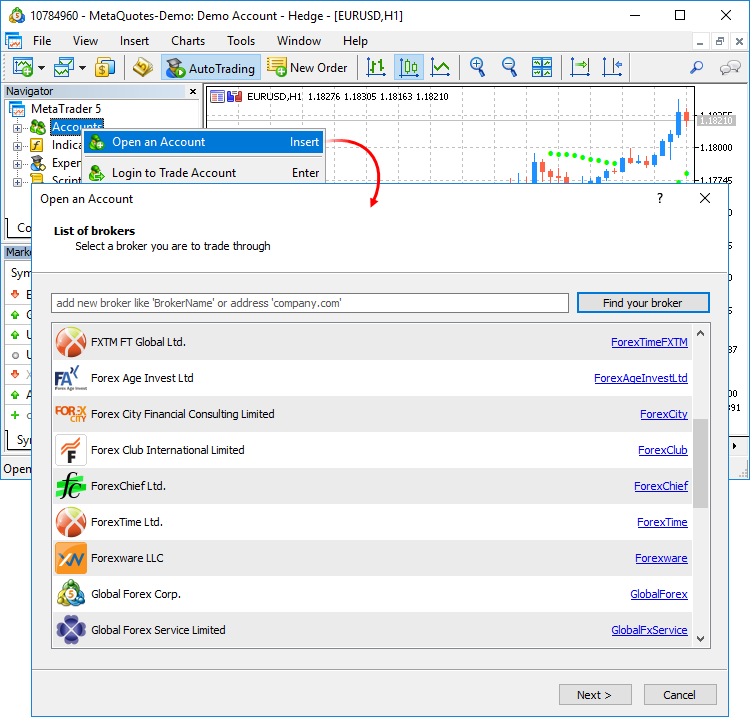 MT5Shutdown de-initializes and disconnects from MetaTrader 5. MT5Version gets the MetaTrader 5 terminal version. MT5TerminalInfo gets the state and parameters of terminal connection to a broker's server (account number and server address). MT5WaitTerminal waits for the MetaTrader 5 terminal to connect to a broker's server. MT5CopyTicksFrom(symbol, from, count, flags) copies the specified number of ticks starting from the specified date. The date is specified in milliseconds since 01.01.1970. MT5CopyTicksRange(symbol, from, to, flags) copies ticks from within the specified period. The dates are specified in milliseconds since 01.01.1970. MT5CopyRatesFrom(symbol, timeframe, from, count) copies the specified number of one-minute bars starting from the specified date. The date is specified in seconds since 01.01.1970. MT5CopyRatesFromPos(symbol, timeframe, start_pos, count) copies one-minute bars from the specified position relative to the last bar. MT5CopyRatesFromRange(symbol, timeframe, date_from, date_to) copies bars from within the specified period. The dates are specified in seconds since 01.01.1970. The list of supported commands will be further expanded. Optimized Close By dialog used for closing a position by an opposite one. Now, the dialog is not slowed down even if you have a large number of open positions. Fixed synthetic symbol calculation errors, due to which data could be occasionally skipped. When a custom symbol is deleted, files storing its tick and bar history are also deleted. This avoids the accumulation of unused data on the hard disk. Fixed display of search results on High DPI screens. Implemented access to economic calendar data from MQL5 programs. CalendarCountryById — gets country description by identifier. CalendarEventById — gets event description by identifier. CalendarValueById — gets event value description by identifier. CalendarEventByCountry — gets the array of available events for the country. CalendarEventByCurrency — gets the array of available events for the affected currency. CalendarValueHistoryByEvent — gets the array of values for the specified time period, by event identifier. CalendarValueHistory — gets the array of values for the specified time period for all events, filtered by country and/or currency. CalendarValueLastByEvent — gets an array of last event values by identifier. This function enables the request of the values which have appeared since the previous request. The in/out parameter "change_id" is additionally used for this operation. Every time the calendar database changes, the "change_id" property (the last change identifier) is updated. During data request, you specify "change_id" and the terminal returns events which appeared after that time, as well as the current "change_id" value, which can be used for the next request. During the first function call, specify the zero "change_id": the function will not return any events, but will return the current "change_id" for further requests. CalendarValueLast — gets the array of last values for all events, filtered by country and/or currency. This function enables the request of the values which have appeared since the previous request. Similarly to CalendarValueLastByEvent, the "change_id" property is used for the request. MqlCalendarValue — event value description. Fixes and operation speed improvements related to tick and bar history. 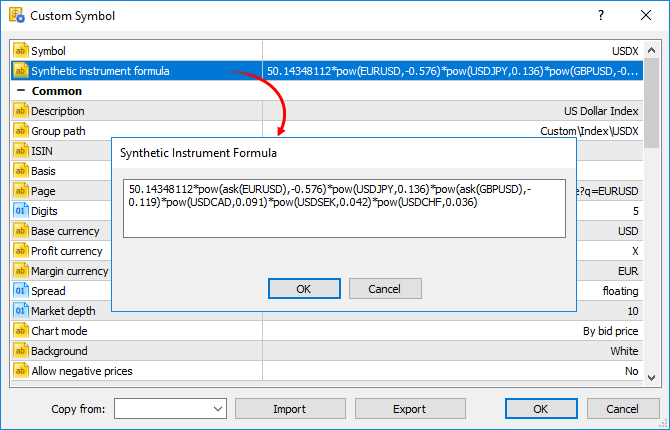 Fixes and significant operation speed improvements related to tick and bars history modification functions of custom trading symbols, CustomTicks* and CustomRates*. CharArrayToStruct copies a uchar array to a POD structure. StructToCharArray copies a POD structure to a uchar array. Added MathSwap function for changing byte order in ushort, uint and ulong values. The address of the host, to which connection using network functions is established, must be explicitly added to the list of allowed addresses in terminal settings. StringReserve reserves for a string the memory buffer of the specified size. StringSetLength sets the specified string length in characters. ArrayRemove removes from an array the specified number of elements starting with the specified index. ArrayInsert inserts to a receiver array the specified number of elements from the source array, starting with the specified index. ArrayReverse reverses in an array the specified number of elements starting with the specified index. New "uint count" parameter has been added in functions CustomRatesUpdate, CustomRatesReplace, CustomTicksAdd and CustomTicksReplace. It allows specification of the number of elements of the passed array, which will be used for these functions. The WHOLE_ARRAY value is used for the parameter by default. It means that the whole array will be utilized. Added CustomBookAdd function to pass the status of the Depth of Market for a custom symbol. The function allows broadcasting the Depth of Market as if the prices arrive from a broker's server. Added CustomSymbolCreate function overloading. This allows the creation of a custom trading symbol based on an existing one. After creation, any symbol property can be edited using corresponding functions. The name of the symbol, from which the properties of for the custom symbol should be copied, is specified in the "symbol_origin" parameter. New TERMINAL_VPS property in the ENUM_TERMINAL_INFO_INTEGER enumeration; it shows that the terminal is running on the MetaTrader Virtual Hosting server (MetaTrader VPS). If an application is running on a hosting server, you can disable all its visual functions, since the virtual server does not have a graphical user interface. New SYMBOL_EXIST property in the ENUM_SYMBOL_INFO_INTEGER enumeration, means that the symbol under this name exists. Fixed typing when using template function pre-declarations. 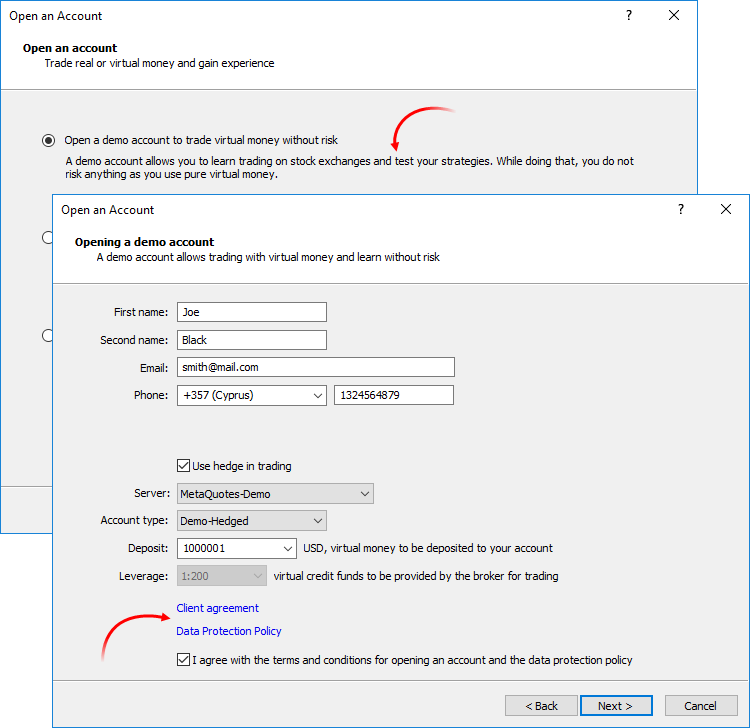 Added re-initialization of indicators when changing a trading account. Fixed errors in the standard library operation. Added TesterStop function — routine early shutdown of an Expert Advisor on a test agent. Now you can forcibly stop testing after reaching the specified number of losing trades, a preset drawdown level or any other criterion. Testing completed using this function is considered successful. After the function call, the trading history obtained during testing and all trade statistics are passed to the terminal. Disabled ability to test and optimize Expert Advisors through MQL5 Cloud Network in the real tick mode. This mode can only be used on local agents and local network farms. Improved work with indicators during visual testing. Now the price chart and indicator lines are drawn synchronously, even for the maximum visualization speed. Optimized and significantly accelerated testing and optimization. Fixed debugging of indicators on historical data. Now the OnInit and OnDeinit indicator functions can be properly debugged. Implemented faster access to historical data when testing multicurrency Expert Advisors. Fixed occasional freezing of the visual tester during debugging on historical data. Implemented faster start of optimization passes when processing a task package by an agent. Changed policy of distributing task packages to testing agents. The package size has been increased and thus resource consumption on network operations has been significantly reduced. Changed behavior of options enabling the use of local, network and cloud agents. Now, when you switch off the options, the agents complete processing of received tasks, while no more new tasks are given to them. In earlier versions, the behavior was similar to the "Disable" command, which immediately stopped agent operation. Added support for non-ANSI characters in the debugger. Now, the expressions are properly displayed even if the variable name is specified in Cyrillic. Added user interface translation into Croatian. Trade and History tabs now offer sorting by symbols (financial instruments), orders and trading time. Apart from sorting, you can also filter trades by symbols in the History tab.